Prince WIliam back with KATE! Prince William has persuaded his former girlfriend Kate Middleton to rekindle their relationship 12 weeks after they split up, a British newspaper reported Friday. The report in The Sun citing an unidentified royal source came five days after Middleton attended a concert celebrating the life of William’s mother, Princess Diana, further fueling rumors that the two have reconciled. William’s Clarence House office has declined to comment on media reports that the two are back together. 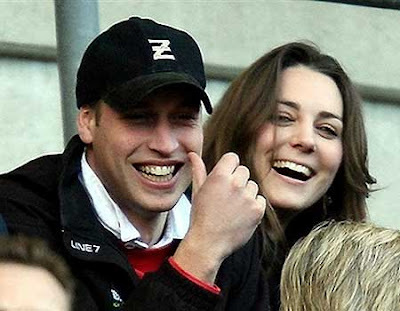 William, second in line to the throne, broke up with Middleton in April as speculation swirled that the two were about to marry. Middleton had been pursued by photographers outside her London home and nightclubs in scenes that drew comparisons to the coverage of Diana. Breaking News – William and Kate Dating again!